TimeLeft - Multiple countdowns, timers and more! 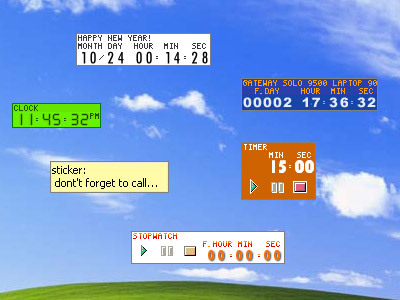 Every instance of a countdown, clock, stopwatch, timer or sticker is a separate floating window. TimeLeft floating windows live on your desktop. You can place floating windows the way you want: as a line or as a column, or in different corners of your desktop. And even more: floating windows stick to each other, so you can group them and move the whole group at once. You can minimize floating windows to the system tray. You can change floating windows size up to the screen size. choose a pattern of changing digits and size. You can also set floating windows always-on-top, make semitransparent or hide in the system tray. If you want to change floating windows layout, use Layout Editor. With Layout Editor you can define which information should be displayed on a floating window: years or minutes; weeks and days - any combination is possible to display. For example, by default Stopwatch displays Title (stopwatch), Captions (hours, min, sec) and Data Panel (it contains Full fours, Minutes and Seconds). If you don't need Full hours to be displayed, you can change Stopwatch layout, just delete Full Hours panel in Layout Editor. Every floating window may have its own size. 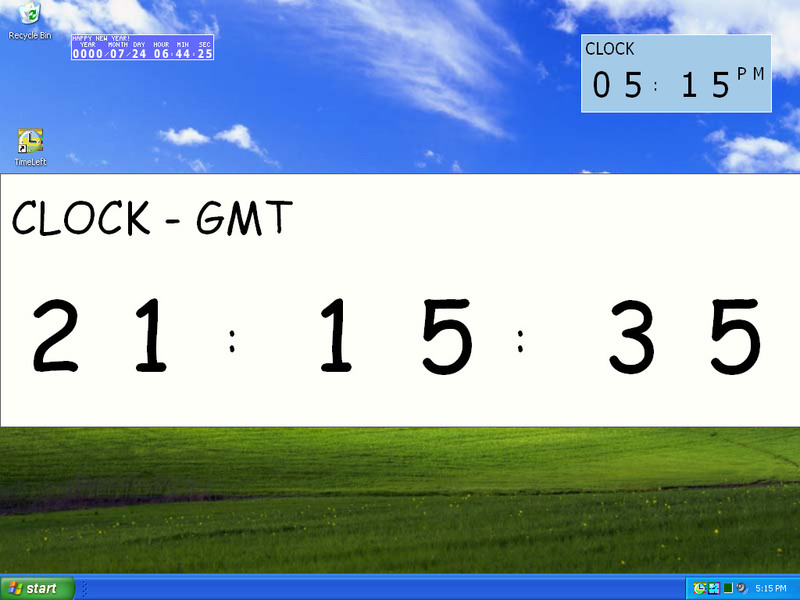 For example, if countdown text is to small for you, you can simply enlarge floating window using your mouse. You can set floating window size as big as your screen (full screen, example). This feature is very useful for live-events (conferences, presentations etc.) - you can show on a big screen how long is left till coffee break/luncheon or you can use stopwatch/timer in timing speakers to keep your conference/presentation within the time allowed.